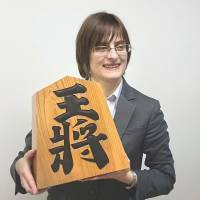 Karolina Styczynska, a 24-year-old Pole, was promoted to C1 level in the world of shogi (Japanese chess) after three wins and one loss in a Tokyo tournament Sunday, placing her one step away from becoming the first foreign female professional player. Styczynska was granted 3-kyu status, a first for a foreign woman. If she meets the necessary performance requirements within two years, she will be promoted to 2-kyu in the women’s section, a rank that confers professional status. In a news conference Sunday, she said her goal is to gain the status of shodan, or 1-dan, in the women’s section. Shogi is a two-player strategy board game in which captured pieces can be returned to the board to aid the captor’s hand. Players, including amateurs, progress upward from 10-kyu to 1-kyu and from there go to 1-dan level. A separate professional section was introduced for women 40 years ago, and most female players opt to use it. Its highest level is 6-dan. Styczynska will officially start playing at the 3-kyu level in the women’s section on Oct. 1. During a regular session of the Kenshukai training group on Sunday, the Polish player scored three wins and one loss, fulfilling the requirements to be promoted to C1 level and receive the 3-kyu status. Born in Warsaw, Styczynska first became interested in shogi in 2008 after reading “Naruto,” a popular manga series published by Shueisha Inc. that has been translated into more than 30 languages, including Polish. She was intrigued with the scene where one of the characters beats a teacher at shogi. Lacking any place to play in her hometown, she studied and practiced shogi online. Styczynska first came to Japan in 2011 on a two-week trip to play shogi, at the invitation of Madoka Kitao, a female professional player she had met in an online match. During the trip, she took a qualifying test and was given the amateur 4-dan status. Aside from the women’s section, there is also what is called the professional section, where players of 4-dan and higher get paid by the Japanese Shogi Association. The highest level in the professional section is 9-dan. One female player is currently 3-dan, the highest ever achievement for a woman. Currently, the highest level held by top professional players in the female section is 5-dan — seven grades higher than Styczynska’s newly acquired status. Players may be downgraded if they fail to win a required number of games in a year. 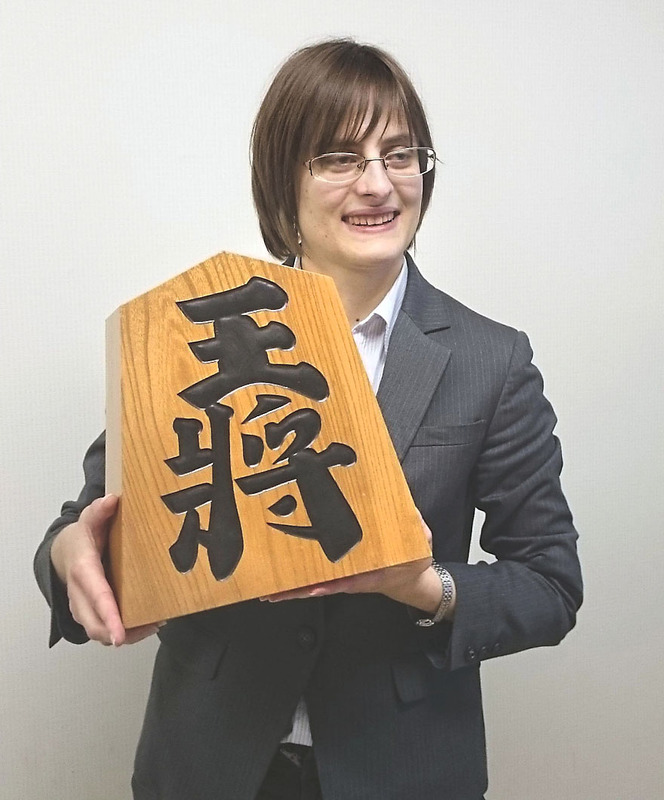 “I’m looking forward to seeing her officially join the league of professional players,” said Koji Tanigawa of the Japan Shogi Association, praising Styczynska’s talent and record as the only foreigner in the tournament.